Are you planning to get out of town for an early spring getaway with your family and friends? We can help you add as much as two extra days to your March vacation by flying privately. Let us explain how. Most vacation destinations will require a full day of travel to arrive and depart from your home. By traveling privately you will be able to travel directly from your home to your destination, allowing you to reduce costly travel time, begin your vacation sooner, and stay longer. If you want a few extra days at your favorite vacation spot, consider these popular jets to get you there. We will be happy to provide you with details on how you can get the most out of your vacation travel, and provide you with a free flight quote. Let’s get started planning your spring getaway today! accommodations, always including a galley and enclosed lavatory. 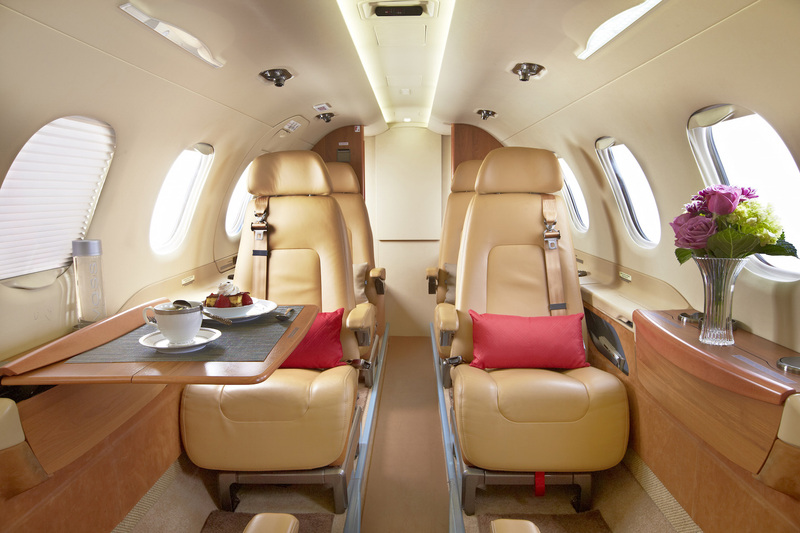 These jets are generally the most comfortable for long-range trips and can include internet access, audio and video players, satellite phones and a range of other amenities. Additionally, the crew will usually include a cabin attendant. Super Midsize jets are appropriate when you seek more range than a standard midsize but may not have the need for a heavy jet. Super Midsize jets will typically avoid a fuel stop on flights less than 2,500. Often Super Midsize jets are the fastest and most fuel efficient of the jet classes. 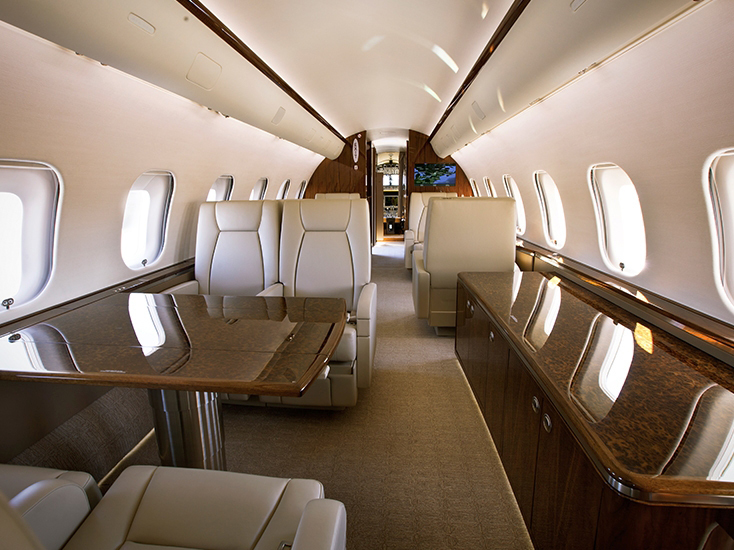 These jets also include a wide variety of amenities similar to that of the heavy jets. Midsize jets are the most versatile in that they offer better fuel economy than the larger jet classes, but still offer many of the same amenities. 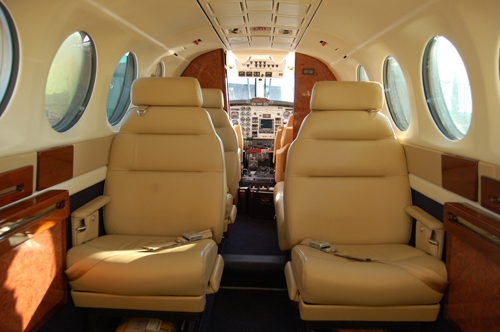 Midsize jets are equipped with an enclosed lavatory. Turboprops are a great solution for trips less than 500 miles and for trips into airports with shorter runways. Seating varies by aircraft model from 4-8 passengers. Turboprops provide better performance on shorter runways, many models have larger cabins than Light jets. Some Turboprops have enclosed lavatories while others do not have any lavatory facilities. 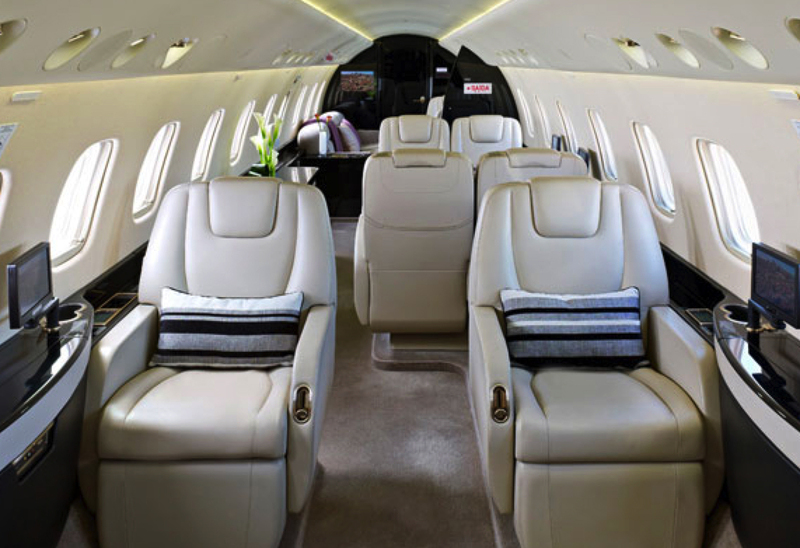 Ask our experts which jet class they suggest for your next trip and we will be happy to provide you with a recommendation and free flight quote. altitudes up to 51,000 feet, this jet can often avoid bad weather by flying above it. include: a Rockwell Collins Cabin Electronics System (CES), high-speed internet, power outlets, a wireless phone, scanner and fax, a multimedia system with CD/DVD player, 3D maps, several touch screen TV monitors, customizable LED lighting, a Honeywell Primus 2000XP avionics suite, advanced soundproofing, a conference table area and more. 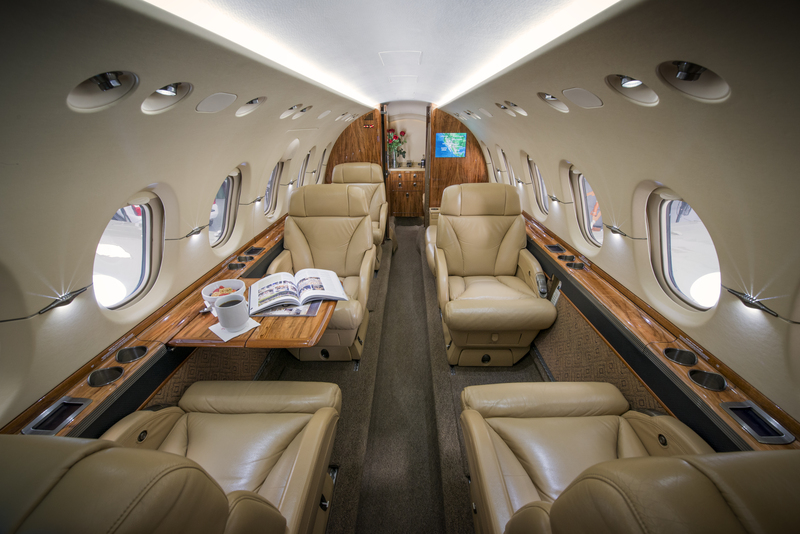 accessible throughout the flight, your personal items are always within reach.” With a comfort-focused cabin and ample baggage space (195 cubic feet), you will have everything you need for the most enjoyable private jet experience. operate with ease in poor weather conditions. business travelers, no matter what the mission. If you’re in need of a heavy jet, be sure to keep the Global 5000/6000 at the top of your list. latest news and updates from FlyPrivate.